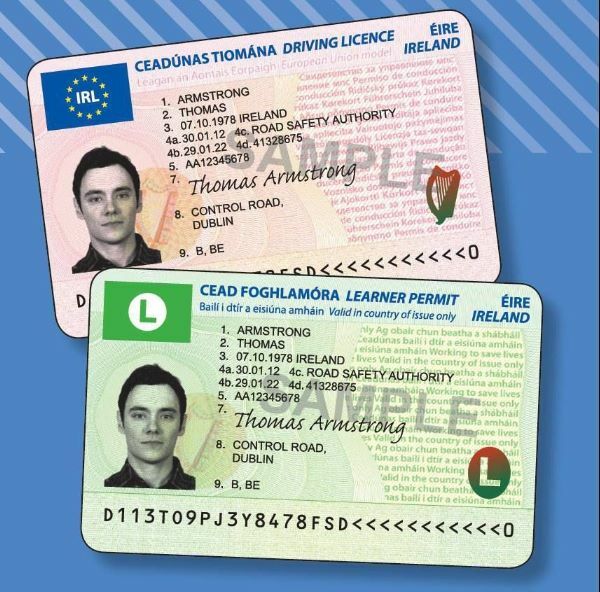 This year will see some major changes in the way you acquire your driving licence. Some of you will be affected and some wont. For those who it might not affect may still find this information useful for someone they know entering into the driving arena. From the 19th of January 2013 the Driving Licence will no longer take the form of a green or pink booklet. Instead it will take the form of a Credit Card size Plastic Licence. This is to match the standards they use across Europe. You can exchange your old licence for a new one or just wait until yours is up for renewal. To do this, just check the date in the column go/to on your licence. Under new Rules agreed by the Government and Leo Varadkar in Dec 2012, these are the changes. 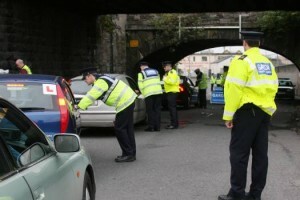 If you receive 6 penalty points within a 3 year period, you will be banned from Driving for 6 months. You will now not be able to acquire a full bike licence (licence A) until you are 24 or if you have held an A2 licence for 2 years. You will not be able to acquire an A2 licence until you are 18 or you have held an A1 Licence for 2 years. I just wanted to write a quick post with regards to the Winter. Autumn/Winter can be a bit of a challenge for new drivers and can even catch out a few experienced ones. I have compiled a few top tips to keep yourself away from Hazards and NOT ceate any for any other drivers. As we know already, Cork roads are not the best. They are plagued with poor surface and idiot drivers. The first defence is to make sure the basic car checks are done. Check ALL lights, brake lights and indicators – Get someone to help you or use your local TOPAZ. They have a Mirror beside the Tyre inflator to help you check your lights without getting out of the seat. This will allow other drivers to see you and help them make better driving decisions based on your signals. People have lost their lives because other drivers lights were broken. Check Tyre Condition and Tyre pressures – Check that the grooves in the tyre are deep enough. The minimum legal Tread depth is 1.6mm. On all tyres there are little tyre wear indicator stubbs in the groove to tell you when theyre illegal. If theres no deep groove then the tyre will not displace any water etc and thus NO GRIP. Also check your tyre pressure. Under inflated tyres are like driving on Raw Eggs. Over inflated tyres reduce your grip. If in Doubt, I always inflate to 30 psi. The tyre inflators in most petrol stations are free and most garages will assist you. Its not difficult but essential. People have died from driving on under inflated tyres. Check your Coolant – Open the Bonnet and look for the resevoir that has a thermometer on it or CAUTION HOT text on the cap. This is your coolant. This keeps your engine cool. The fluid should be RED or GREENISH colour. This is the ANTIFREEZE additive that stops it from freezing. If its clear or transparant, bring it to a mechanic for a mini service. NO ANTIFREEZE = FROZEN ENGINE and LEAKS. Drivers have broken their cars from not checking antifreeze levels. Remember water expands when it freezes ! Top up your Screenwash – Open the Bonnet and look for the resevoir with the windscreen and dashed lines squirting over it. This is the fluid that squirts onto your window when you pull the window wiper stick attached to your steering wheel. For €2 you can get screen wash liguid soap from the petrol station then top it up with ordinary tap water. This is essential if we get frost. Why? Because if we get frost, they send out the grit lorries to grit the roads to prevent them freezing. Grit is basically salt. The vehicle in front of you will spray salt up on your window from its tyres and your windows will go white. It becomes very difficult to see. People have lost their lives from not topping up their screenwash. This is all basic stuff, but if your not comfortable doing it yourself, then find your nearest ADVANCE PITSTOP in Cork or Local Mechanic and ask them to do a Winter Check. Secondly – Keep your driving smooth and creamy. What I mean by this (and most of my students will already know this) is to keep the car steady and safe. Dont be erratic with the steering or the pedals. You will only discover loss of grip when its too late and YOU WILL NOT BE ABLE TO RECOVER FROM A SKID without prior training. Brake earlier and softer on the pedal. This warns drivers behind you sooner and prevents your wheels LOCKING UP. And Thirdly, Do I need to say it? Really? SLOW DOWN AND KEEP YOUR DISTANCE TO THE VEHICLES AROUND YOU. Theres too many idiots on the road. Hope this helps at least one of you stay safe this winter. Cork City Council have added an update to their traffic division webpage. Those of you who pick up children from school will be glad to hear that The City Council have agreed to place lower speed limits near some schools. Sounds great eh? Initially I think its a great idea but unless the Garda actually enforce it, are any or many drivers going to take any notice. They dont anywhere else. Part of the Job of being a driver instructor is ensuring we and the students we are teaching are abiding by the speed limits. So why am I still being overtaken in built up areas when Im driving at 50kph? So unless the Council are going to erect speed camera threat signs in conjuction with the lower speed limits, I think its going to be a challenge to slow down traffic. Here is the snippet from the Cork City Council Website identifying the locations of a new 30kph speed limit outside some Schools in Cork. Sunday’s Well Boys Primary School , Blarney Road. Scoil Barra Naofa Boys and Girls Primary Schools, Beaumont. St Brendan’s and St Mark’s Primary Schools, The Glen. Coláiste an Spioraid Naoimh, Bishopstown. The Bye-laws will come into effect on Wednesday 22nd February. Motorists are asked to observe the lower speed limits in these areas. Thinking of Buying your 1st Car? I wanted to write a few words about buying your first car. For those of you that are taking Driving Lessons with me at the moment would have heard me mention the importance of PRACTICE between Driving Lessons. The best way to get practice driving and to develop your driving skills further and faster is to get your own car. There are a few myths out there that I wish to quash and give you all some good sound basic advice on finding, buying, and collecting your first car. To help you with this Ive recently added an RSS Feed to Donedeal. Its over there on the left of the screen. I have bought and sold a few cars on Donedeal over the last year and I have found that once you know what youre looking for, its the best place to find a true BARGAIN. Be realistic when choosing your first car. My first car was going to be a BMW 316i with alloy wheels, blacked out windows with a sub woofer and TVs in the back. What I ended up buying for my fist car was a bright red Nissan Micra with a big dent in the front bumber, a blue wing and fag burns throughout. Nice eh? Your first car is a dummy run to your first proper car. So if anything happens to your beloved ride in your first year you wont really be that bothered. So be realistic and lower your expectations a bit. If you find a car thats a year 2002 and its €1000 then ask yourself – Whats wrong with it that its so cheap? 3. NCT or Not NCT ? One of the most important things you should look for when browsing is the validity of the NCT (National Car Test). Not just if it has one or not but when it was last tested and when is it next due. It could end up costing you more to put the car through an NCT than what you paid for it. I have just spent €1000 putting the our beloved drivingschoolcork.net School Car through an NCT. Mostly on worn parts, timing belt and tyres. If a car is for sale and the NCT is “out” or “failed” then run a mile from it. Look for an advert thats says the NCT has “just passed” or “expires next year” etc. This means that the vehicle has met all the european safety requirements. You will have piece of mind that the car is sound and should hopefully not cost you anything after youve parted with your hard earned cash. Some people are selling there cars because they cant afford to put it through an NCT so make sure you dont pick up the Tab. Try and keep your engine size down to below 1400 cc. So a 1.0cc 1.2cc 1.3cc 1.4cc should be what you’re looking for. This will keep your insurance quote down and keep your Road Tax down. You can opt for Petrol or Diesel. I have both. Just beware that if you go for a Deisel there is usually a TURBO attached to it. This is seen as a performance enhancer and your insurance company starts rubbing their hands together as they increase your premium. The ole myth that you should steer clear of certain brands of car because of X Y or Z is rubbish. Most cars from the year 2000 onwards are all pretty well built, they generally have good reliabilty come in varied styles and models. I would recommend popular brands like Ford, VW and Toyota. These brands have lots of companies competing on making replacement parts or what they sometimes call SPURIUS parts. This means that if you do need to repair your car, parts are usually cheaper. Brands like Diahatsu or Mitsubishi usually mean going to the main dealer and end up costing more. Renault, Citroen and Peugeot all have common faults that kick in over time. If your reading this Artur you will know what Im talking about. Artur has a Peugeot 307 and the indicator stick is broken…it doesnt click off. When he went to scrap yards they were all gone. Signs of a common fault. The only other option is a new one costing €200. OUCH! When you have picked your first car, pick up the phone, arrange an appoitment and go to see it. Then follow these simple steps…. Ask to see the Tax Book or Registration Certificate – Make sure the person you are buying from is the registered owner. If they are not then walk away. Also check that the Registration Plate matches the Tax Book. Grab a pen and paper and start writing down things you are not happy with. Start on the outside and look at the bodywork, check the condition of tyres, look for signs of accident damage, windscreen cracks or chips and check the gaps between body panels. They should be the same width end to end. Look on the inside and look for fag burns, broken parts and have a sniff – Moldy cars usually mean water leaks or it may have been parked up for a year. So now its time for the test drive. You have narrowed down your search, found a car, gone to look at it, its in reasonable condition inside and out and now its all about the test Drive. Turn the engine on and take it for a spin. If you are not comfortable driving it then bring someone with you that knows a bit about cars. I have helped quite a few of my students buy their first Car, so if you need me just pick up the phone. This is what you need to look for in the test drive. First check the clutch. Put it into 4th gear, release the handbrake and slowly let out the clutch. If the car cuts out then the clutch is good. If the car starts hopping forward then the clutch is banjaxed. Walk away or negotiate €300 – €400 off the asking price. Find an empty car park and Drive the car slowly in circles. If there is clicking noise from the wheels then the CV Joints are gone. Walk away or negotiate €200 off the asking price. Find some bumps in the road. Drive over them or through them and listen for knocking noises from the suspension. If there is, then the bushings are gone either on the stabiliser links, track rod ends, Wishbones or the anti roll bar. I wouldnt walk away but I would negotiate €50 – €100 off the asking price. Test the brakes. Pick up the speed to 50kph, check your mirrors, make sure its clear and brake hard. Make sure the car stops. Listen for a grinding sound or a metal to metal sound. This means the brakes need replacing. If you feel a clicking in the pedal then dont worry. Thats just the ABS (anti lock braking) system working – a good sign. Park on a hill and check the handbrake. If it doesnt hold or needs excessive pulling then either the pads or the cables need replacing. €100 – €150 off the asking price. Make sure the speedometer works, fuel guages etc. If not, walk away. This is not only expensive to fix but illegal. Finally. How does the car make you feel. Are you happy with the way it drives? If you are then at decision point then choose the following. Thank them for their time, Walk away and find your next suitable option. So why would you bother with Driving Lessons ? Why not just get a provisional Licence, buy a car, get some insurance and go driving ? Driving on the road with out experience is very dangerous. People think that driving is easy but theyre wrong! Let me break it down for you. Controlling a Car and driving are 2 different things. Controlling a car is simple once you can get used to the pedals, gears and steering wheel known as PRIMARY CONTROLS. Controlling a car on the road is alot more difficult….heres why? Driving on the roads requires knowledge and experience. Driving Lessons will give you both. It usually takes only a few driving lessons from an RSA (road safety authority) approved driving instructor to teach vehicle controls. It takes us alot longer to teach you road behaviour. There are so many variables on the road and a billion billion combinations of Hazards and potential Hazards. Getting Driving Lessons is expensive…I agree. One of the biggest costs we have as Driving Instructors is Insurance. To Insure the vehicle for students that have no experience on the road is pricey….very pricey. Thus the reason you should get Lessons. Let us take the hit. If you are out there driving around on a learner permit and have not had Driving Lessons from a reputable driving school or an RSA approved Driving Instructor then you should not be Driving alone. If you have an accident through your lack of experience it will cost you big time for a number of years. Your vehicle damage may cost you thousands, your insurance premiums will increase severely and you will have a criminal driving record with the Garda. Not to mention the impact this will have on your confidence. Driving Lessons on the other hand are cheaper. ALOT CHEAPER! Dont do it…Dont Drive around forever on a provisional licence or learner permit. Book Driving Lessons today and get the advice, knowledge and experience from RSA Approved Driving Instructors, Go for your Driving Test, Aquire your FULL LICENCE and see the immediate savings in your wallet and have the peace of mind that you are a grade above all the in-experienced drivers out there. Well? What happened? One minute the weather is starting to pick up and the next we hear that Douglas, Blackpool and Clonakilty are flooded beneath a meter of water. This made driving around Cork today very dangerous. The flooding had caused debris from nearby ditches and drains to spill onto the roads. So what can be done to prevent accidents while driving on Corks Flooded roads. 4. Find alternative routes and leave earlier. Oh…and if I forgot to mention….SLOW DOWN. Theres hidden pockets of water everywhere.